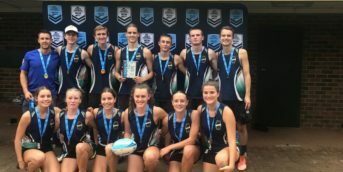 NSW Touch Football is now seeking expressions of interest for Team Management for their Development Teams. 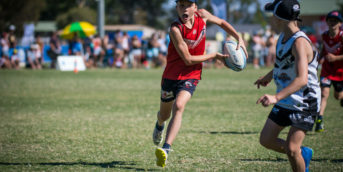 These positions will cover the 2019 National Youth Championships in Kawana Queensland (Sept 18-21) and lead in campaign. Applications close 5pm Thursday 9th May 2019. A knowledge of the standards and behaviour expected of a NSWTA Official and/or Representative Player and acceptance for these standards, or the ability to quickly acquire and apply such knowledge. 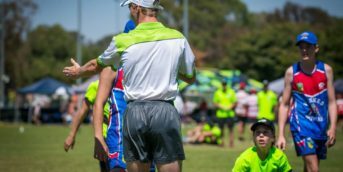 The Coach must demonstrate the ability to work within the NSWTA “Code of Behaviour” guideline. Possess a minimum active Level Two/Talent Coaching accreditation with a willingness to undertake or work towards an Elite accreditation. Be prepared to accept the conditions of the appointment. Able to demonstrate the ability to work well under pressure whilst achieving objectives. Must provide a written plan/outline of team objectives and how they will be achieved. To Coach a Development Team to which the appointment was made. To liaise with the Sport Manager, Technical Director and TEAM NSW Head Coach to ensure implementation of State Policy. To arrange team training sessions providing direction and developing strategies. To liaise with team management regarding administrative matters. To ensure the conduct of the team is beyond reproach. Maintain written player profiles and constantly review and monitor player performance and give individual player feedback. To maintain and/or increase status as a Coaching Course Presenter. Provide the Sport Manager with regular written reports when required. A knowledge of the standards and behaviour expected of a NSWTA Official and/or Representative player and an acceptance of these standards, or ability to acquire quickly and apply such knowledge. Capacity to manage (ie. through a documented plan, organise, direct and control.) as appropriate players, gear and equipment. A high degree of initiative and organisational ability. Mature judgement and capacity to accept responsibility. Good inter personal relationship skills. A minimum active Level One/Foundation Coaching Certificate. The ability to work well under pressure whilst still achieving objectives. Manage the Development team to which they are appointed. Liaise with the Coach re: organising training times and facilities. Liaise with the players to ensure that all team members are aware of training and playing schedules. Liaise with officials re: transport arrangements, clothing, gear, equipment, photographs. Liaise with NSWTA Office to ensure all finance aspects are meet by the Team. Co-ordinate and manage team fund raising activities. Become conversant with competition Rules, By-law, Regulations and requirements for paperwork. Responsible for issuing players clothing gear and equipment. Responsible for security of team valuables while playing. Provide for players needs during games. Provide facilities for players to obtain after match refreshments. Submit a written report to Technical Panel following Nationals Championships. PREFERRED: First Aid Certificate (Current). Please contact, NSWTA Sport Manager Daniel Rushworth daniel.rushworth@nswtouch.com.au or 9558 9333.